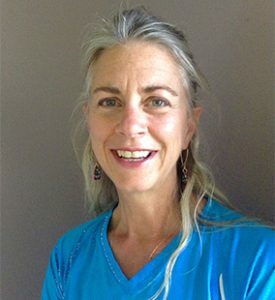 Susan Trier is a Yoga Alliance Registered Yoga Teacher 200-E and certified Tai Chi instructor. She is also a certified Pilates instructor in both mat and apparatus as well as a certified personal trainer through the National Academy of Sports Medicine.. She has received special training in pre, and post natal health, pelvic health, and Parkinson’s. In addition, Susan is a certified Zero Balancing bodywork practitioner. Susan tried Tai Chi four separate times before the discipline resonated with her and she choose to study it. Susan been teaching for 5 years. Tai Chi has taught her to stand and move in a more easeful manner, to quiet my mind, and most importantly, to inhabit a place of integrity where Life’s dual natures ebb and flow in full view. Come explore an unfamiliar art form which can build a stronger and more stable nervous system and let you find that place which exists between a stimulus and your response.